We often get requests for safe ways to transport dogs by bicycle. 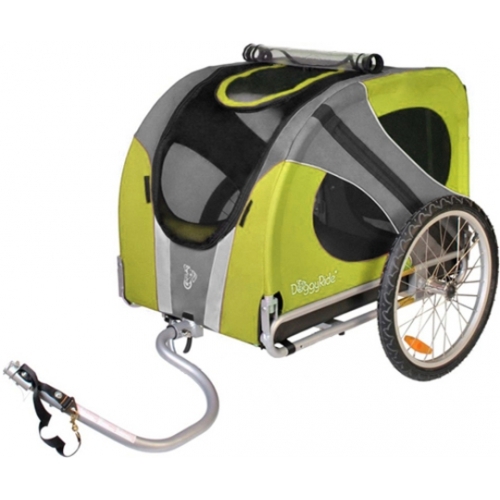 One good solution for all sizes of dogs is a bicycle trailer. 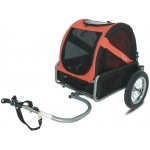 We offer the Dutch DoggyRide bicycle trailer in several sizes to accommodate different dogs. The larger trailers are 78 cm / 30.7" in width so will fit through most doorways. The Mini is somewhat narrower. The "Novel" is the same size as the "Original" but includes premium features. It is made of aluminium alloy, which makes it 8 lbs lighter. The use of alu alloy required a sturdier structure with the result that it holds more loading capacity. 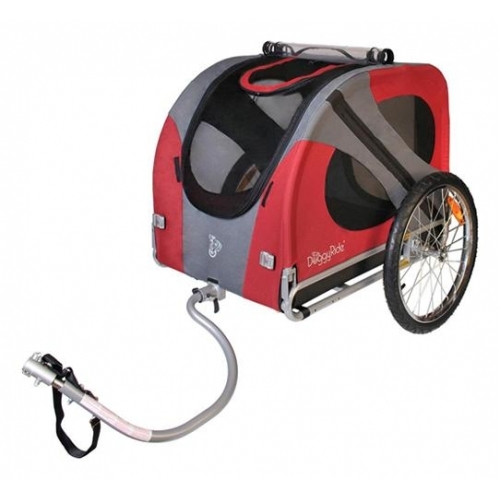 The Novel includes the kickstand and rims are of alu alloy, spokes and hubs of stainless steel. The fabric of the Novel includes more features, such side and front reflection, pouch in the back entry door and water bottle holder. The Novel also includes a head rest cushion in the front opening. 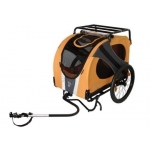 Please note that there can be delays in delivery during the summer months when these trailers are very popular.